In the bestselling tradition of Truman, two-time Pulitzer Prize-winning biographer David Herbert Donald offers a new classic in American history and biography -- a masterly account of how one man's extraordinary political acumen steered the Union to victory in the Civil War, and of how his soaring rhetoric gave meaning to that agonizing struggle for nationhood and equality. Donald spent 50 years studying Lincoln tracing his rise from humble origins to the pinnacle of the presidency. He reveals the development of the future President's character and shows how Lincoln's enormous capacity for growth enabled one of the least experienced men ever elected to high office to become a giant in the annals of American politics. And he depicts a man who was basically passive by nature, yet ambitious enough to take enormous risks and overcome repeated defeats. 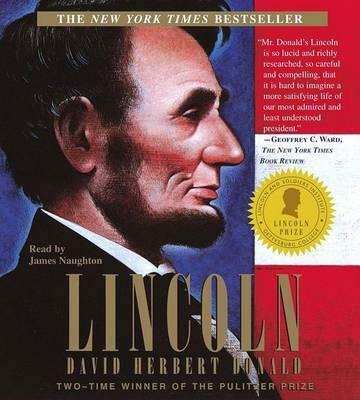 Much more than a political biography, Lincoln seats us behind the desk of a President who was both a master of ambiguity and expediency and a great moral leader, as he makes the decisions that preserved the Union and shaped modern America.